Sage has been one of the most popular culinary herbs since ancient times. It adds great flavor to many different dishes, but this herb also holds a great deal of healing properties and, when planted in the garden, it attracts beneficial pollinators and prevents harmful pests. Sage is hardy and easy to grow, so if you aren’t already growing this garden powerhouse, perhaps this season is the time to begin. Read on for the essential guide to sage, which will give you all the know how you need to grow, harvest, preserve, and use sage. Culinary sage or Salvia officinalis is a perennial herb that is native to the Mediterranean. Part of the mint family, sage grows into a bushy plant up to two-feet tall and two-feet wide. It has purple, white, or pink flowers and oblong, gray-green leaves that are covered with a fine fuzz. The leaves have a savory, earthy flavor that is especially popular for use with meat and poultry dishes. The name Salvia comes from the Latin word meaning “to save,” or “to heal,” referring to sage’s ability to heal the body. It has been used medicinally for thousands of years and is still considered a useful healing plant today. Sage is a powerful anti-inflammatory—when taken internally, it helps to reduce inflammation of the digestive tract, which in turn helps to relieve stomach pains. It is also often used to treat a sore throat, as in this recipe for sage throat lozenges. Sage also has powerful anti-fungal and antibacterial properties. Ancient Greeks and Romans used sage as a preservative for meat because of its ability to help reduce bacteria. In aromatherapy, the scent of sage is purported to increase focus and sharpen memory. Try keeping a pot of sage near your desk or work space and, when you start to feel your focus waning, crush up a leaf and inhale the fragrance. Sage is a woody-stemmed, perennial herb in Zones 5-8 and in milder climates—like my Zone 8 garden—it can be harvested year-round. Common Garden Sage (Salvia officinalis) is a silvery green color and has the best flavor for cooking. There are also many attractive varieties of sage that have purple, variegated, or tricolor leaves. Sage is a wonderful addition to any garden, both for its herbal and culinary uses and as a garden helper. Even if you don’t cook with sage, consider planting it in your veggie patch to attract beneficial insects and prevent pests. When in bloom, the fragrant flowers attract honeybees and butterflies, while the strong aroma of the leaves helps to deter bean parasites, carrot flies, cabbage maggots, and cabbage flies. When planting in the garden, choose a sunny area and give sage plants 25-30” inches of space between each plant so that they have enough room to grow. Plant sage in nitrogen-rich, well-draining soil and water regularly so that it never dries out completely. Prune the plant after its flowering period. Remove any dead wood and cut back the plant to about half its size. 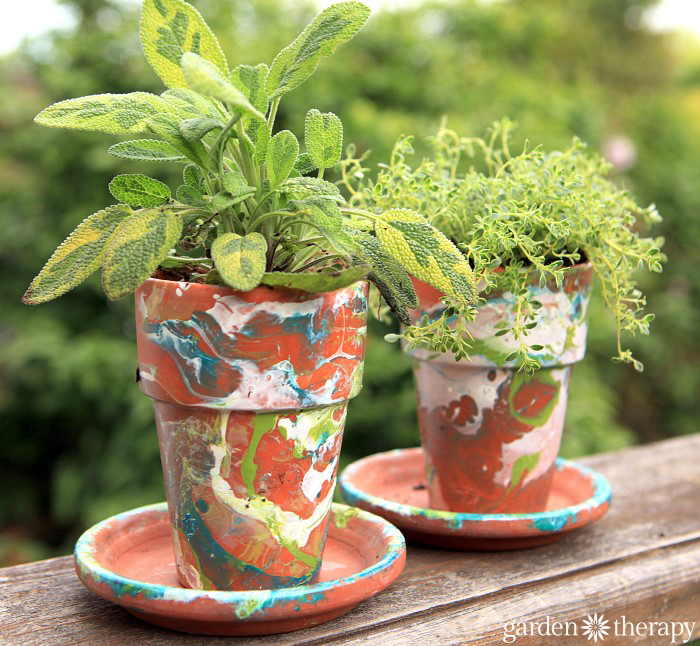 This will encourage new growth and your sage plant will stay bushy and neat. Sage is hardy and overwinters easily. Simply give it some extra mulch in the colder months for protection when the temperatures drop. 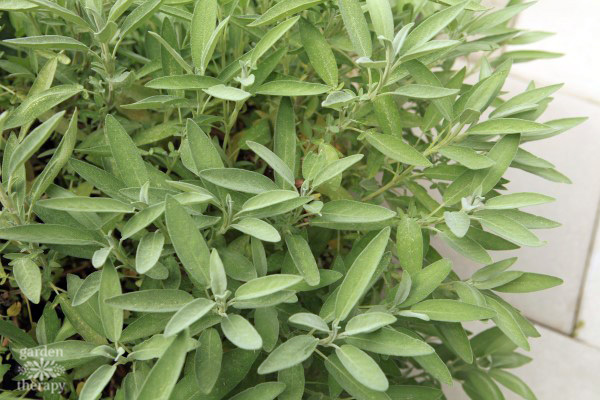 To harvest sage for fresh cooking, remove leaves or stems as needed for recipes. If you need to harvest a large number of leaves, approach it like pruning and cut stems back to half their size to encourage more bushy growth, or remove full branches from the base to thin out the plant. This will allow you to harvest a large amount of sage while maintaining the shape and health of the plant. For more on pruning, head over to this post. 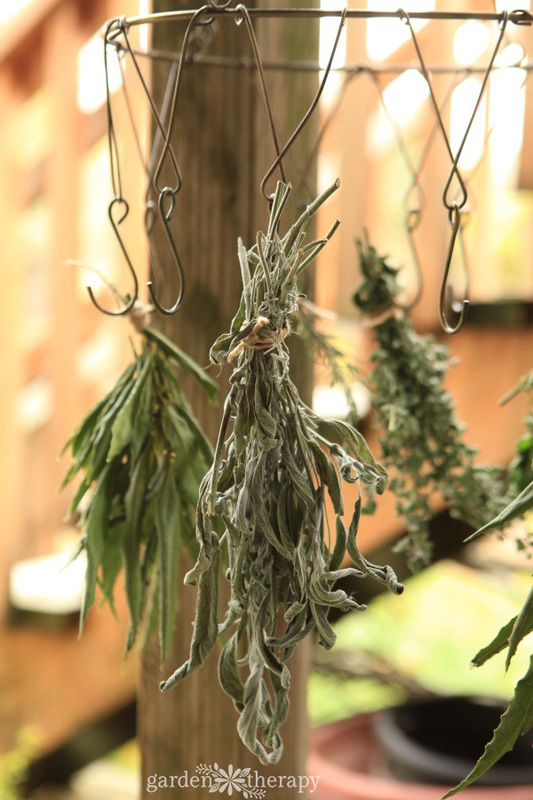 If you have a large harvest or want to dry sage for later use, tie sage stems into bundles and hang upside down in a clean, dry place with good ventilation. When the leaves are fully dried, remove the leaves from the stems (they will crumble into flakes) and store them in an airtight jar. Discard the stems in the compost pile. Use fresh or dried sage leaves in cooking, plant-based beauty recipes, or use it to brew a medicinal tea (you’ll probably want to add a little honey). You can even use it to soothe uncomfortable bug bites—simply crush up a fresh leaf and gently rub the juices onto the affected area. Add sage to this herbal finishing salt recipe. Include a little sage in your favorite poultry stuffing recipe. Treat a sore throat with Sage Candy. Garnish your favorite cocktail with a fresh sage leaf. 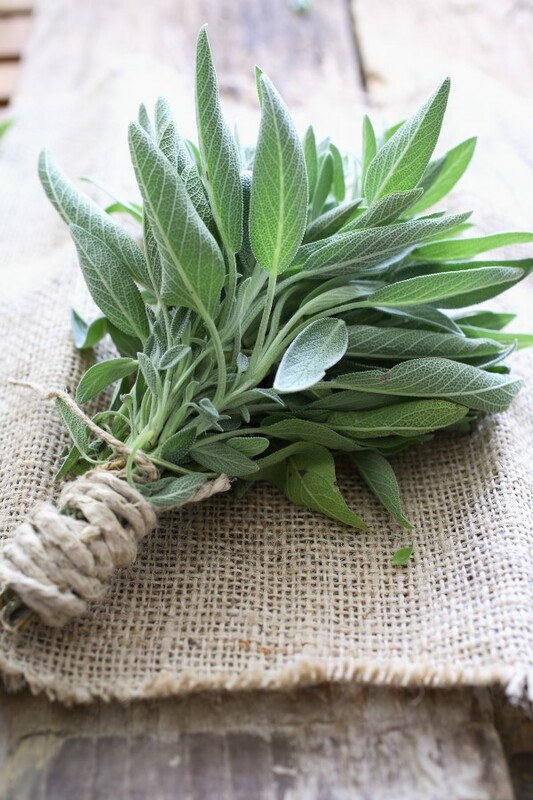 Add fresh or dried sage to simmering spices. I have grown sage a couple of times and it had been a easy been to maintain but I still need to work on incorporating it into more recipes. Thank you for such a informative article I think I will definitely be putting one on my desk!